If you thought glasses were just a way to improve your eyesight, then think again. 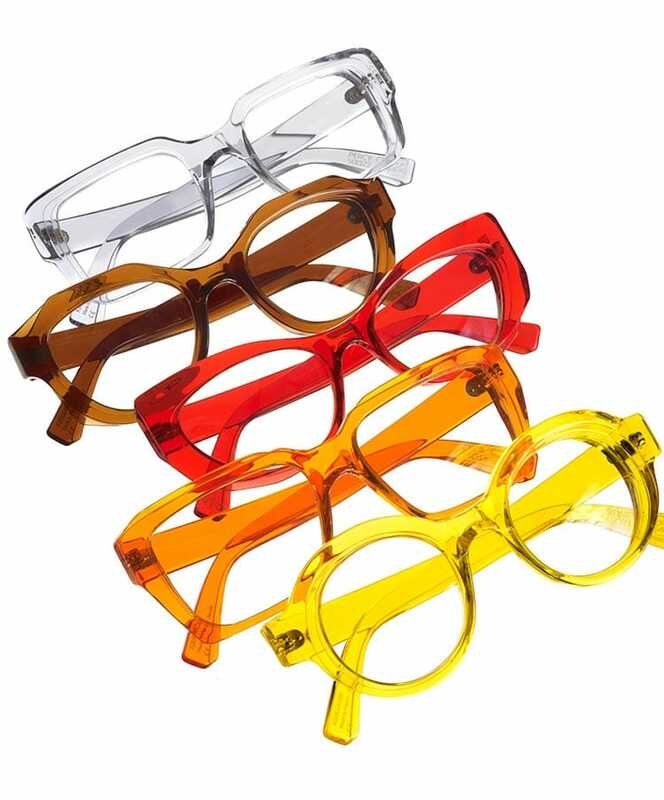 After ten years of austerity that seemed to hit eyewear design as hard as hit pockets, it’s time to change up those dull, tortoise-shell frames and embrace the excitement of full Technicolor eye fashion. If your Hipster beard is on the cutting room floor, those little, round metal glasses will start to look insipid, so open your eyes to a world of designer eyewear. Most of the household, fashion brands license out their name to big box producers so that there is very little worthwhile design and quality in the frames but dig a little deeper and there is some very cool spectivity out there so that you can find eyewear to reflect your personality. MSF just visited Silmo in Paris, the largest and funkiest optical trade show on the planet. This is where the worlds of eyewear and fashion blur and we were delighted to see that the press room was occupied by as many fashion journos as trade mags. 1200 exhibitors articulate their view of the future of optics from Armani to Zegna, from Anne et Valentin to Zeiss. This coming of age has been a little painful. When optical giants Luxottica bought Rayban twenty years ago, they spent a fortune making glasses ‘cool’. “Geek chic”, “spexy mofo”, slipped into our vocabulary and all of a sudden all the young dudes were wearing frames, whether they needed them or not. In the cafes of Shoreditch, Edwardian style embraced tortoise shell, crystal and black NHS shapes. Warby Parker appeared on the scene driving prices down with their online only mantra (they currently have 64 bricks and mortar stores across the US). Specsavers blossomed with their price driven retail and superb advertising campaigns. Given how expensive it can be to buy glasses, it comes as no surprise that ‘value’ retailers have had such an impact…but you get what you pay for. It’s a natural response to the bland eyewear of the last decade that the style leaders go in the opposite direction. Hong Kong designer, Rigards, can be relied upon for exciting and innovative creations. Working in unusual materials such as Magnesium and Copper, designer Ti Kwa re-interprets some established ideas as well as bringing his personal brand of innovation. There was beautiful understatement from Italian eyewear designers, Hapter. An interesting blend of rubber and steel creates a unique collection, which has its own personality but is extremely easy to wear. 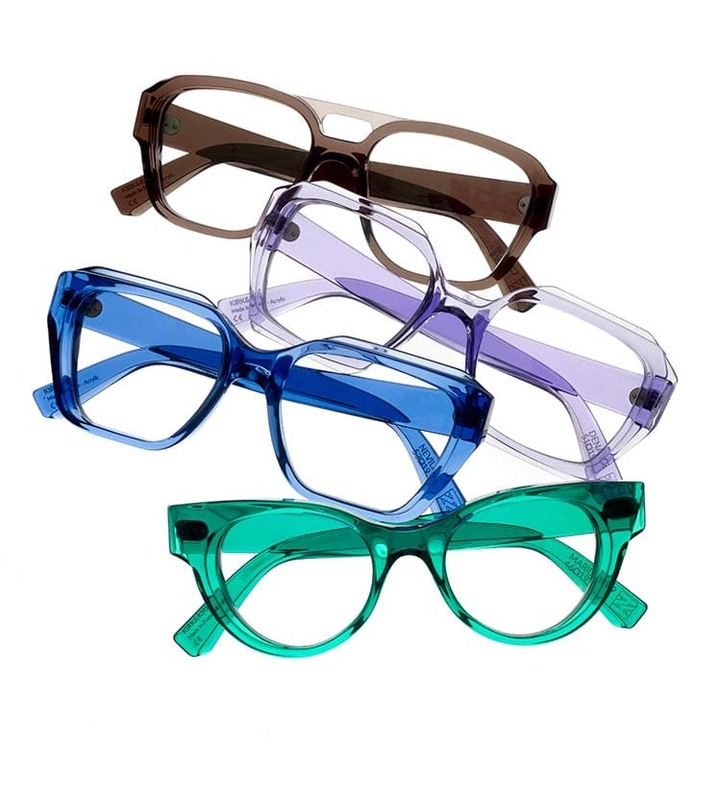 British eyewear company, Kirk & Kirk, did not hold back on their colour palette. Instead of the usual acetate, these frames are handmade from acrylic, which means that they weigh nothing, despite their chunky appearance. Other great independent eyewear designers include Theo, Anne et Valentin, and Jacques Marie Mage. However you will not find any of these in the large groups or optical chain stores but it is worth seeking out some great independent optical stores to find out more about what is out there. These guys travel the world looking for the latest and greatest to take your eyewear from the functional to the flattering. You are also more likely to get a thorough eye test with a small, boutique optician where the goal is not just to whip you though the exam quickly and focus on selling but to ensure that the hugely important medical aspect of your visit is given the attention it deserves. There are some great online resources for discovering cool eyewear. 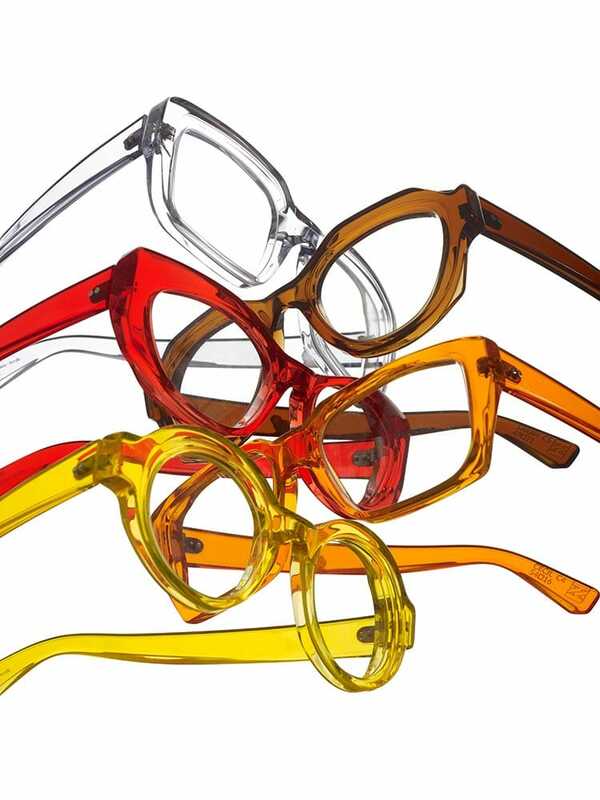 Check out Eyestylist.com that places eyewear in context with art, fashion and design or laespejuelos.com a bilingual Spanish/English blog. Beautoptician.com mixes the worlds of eyewear and fashion and luxuryeyewearforum.com introduces some exciting eyewear companies. Look after your eyes. A good eye test can save your life, let alone your vision as the eyes offer an important” insight into general health. The cost of great eyewear means that most of us do not buy glasses all that often so, when you do, make sure that you get frames that you love wearing. Don’t settle for ‘they’ll do”. There is some amazing and beautiful eyewear out there. Enjoy it. After all they are right in the middle of your face. Gracie Opulanza founder of MenStyleFashion, has worn Kirk&Kirk since 2015. 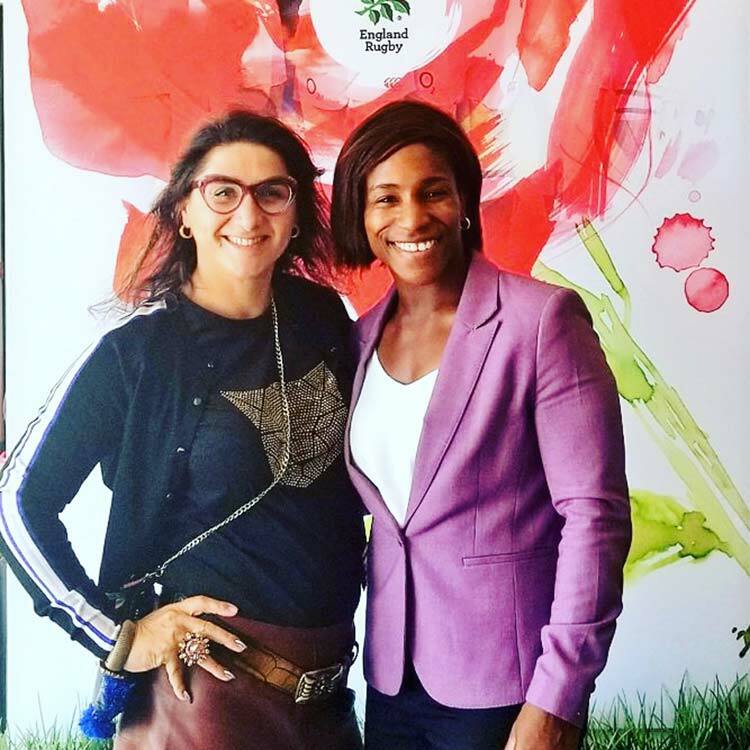 In her own words, when your standing next too TV presenter, Maggie Alfonsi, for British Rugby. I need all the eyesight and eyewear confidence I can get.